My boys really enjoy reading. They like a variety of subject matter. My eldest especially likes to mix things up a bit and not just read story books. He is very knowledgeable about things and I put it down to his extensive reading material. I wanted to introduce you all to the Paperscapes Books as I know these will be a real hit with my boys. We were sent The Incredible World Of Bugs, The Fearsome World of Dinosaurs, The Amazing World of Animals and The Spectacular Journey Into Space from our friends at Carlton Books. 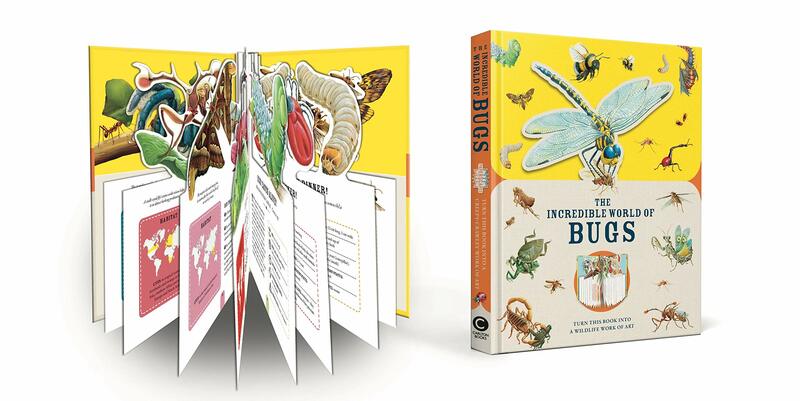 They are beautifully illustrated and contain lots of interesting facts. The books are more unusual too because they have a diecut format. Therefore they can pop the creatures and other images out of the pages! Furthermore it’s another way to encourage children to spend time reading. When they complete a page, they can enjoy making the image stand out! Each of the Paperscapes books are priced at £12.99. They are attractively bound and are a great resource for children who enjoy learning. The Did You Know? section has even greater appeal. Children will learn many things they didn’t know previously. But its thought-provoking not dry and boring! Obviously the keep to getting children to want to read is keeping them fascinated in the subject! “A T-Rex bite probably had the force of about 1.4 tonnes – that’s like having the weight of a pickup truck behind each tooth!” – yikes! Anyone else relieved we don’t have to deal with dinosaurs. “A ladybird flaps its wings about 85 times a second when in flight!” – how exhausting does that sound. It’s worth checking out the Therizinosaurus page in the Dinosaurs book, with his impressive wolverine like claws! I think we were all familiar with certain animals, bugs and dinosaurs but these books introduce you to so many more. I have a copy of the animals, bugs, dinosaurs and space Paperscapes books to giveaway to one lucky winner, worth a total of £51.96. If you would like to enter please fill out the simple form below by the 15th of February.